I loved the green house. It was the name my family christened the green house we lived in for several years of my early childhood. The house several of my sisters came home to after being born. It was across the street from the elementary school and was the biggest house we had ever lived in. Before the green house, we lived in small brick 2-3 bedroom, low income houses. I have many memories from this house. I remember my dad walking me across the street for my first day of kindergarten. I was wearing a dress with a red skirt. The top of the dress was made of red and white stripes. Buttons down the front. I skipped all the way. I loved school. I remember a Christmas Eve that I looked out my upstairs bedroom window to see my parents carrying a yellow plastic kitchen into the house. At the same time I noticed an extra bright star sparkling in the sky and just knew it was Santa, who of course was leaving after dropping off the toys for my parents to put under our tree. I remember sitting in or near the garden as my mom worked, picking tomatoes. The same warm tomatoes I would later sprinkle salt on and eat like an apple on the front porch. I remember a day in the garden when my mom must have received a phone call telling her that Grandpa Al, her dad must have taken a turn from the worst. She saw a babysitter, Theresa, walking home from school and yelled to her to come stay with us so she could go to her father. I remember the great backyard. There was a club-house attached to the garage. It had a waterbed in it and we would sometimes pretend it was our own home and play house out there. I remember some stray kittens that lived in the garage and gave me and I assume several of my sisters ring worm. There was a small pond with rocks built around it. For the most part it was in disarray, but one marvelous summer my dad cleaned and took care of it. We had fish. The alley was adjacent to the garage and club house. It was rock and dirt. I have a distinct memory of a morning following a rain. It was nothing but mud. I ran through it over and over, until finally I slipped and landed full body in the mud, covering myself in it with laughter and glee. Feelings not shared by my mother when she found me swimming in it. My favorite part was the patio. It was large with partial walls. We had my mom’s sisters over once for a barbeque and I still remember that it was the first time I had ever tasted 7 layer dip. I love that dip to this day, only I leave the black olives out. Off the great patio of my youth, was a shed. It should have been used for shovels and lawn mowers. We used it for such better things. We would use it as a fort. We would hide in it. We would play house in it and school, too. Since losing my mom this past September I feel like I’ve struggled to find memories of my time with her, which was really only my childhood. I have many regrets about years spent away from her, but those are to share another time. I have a daughter that graduates from high school in two months. As I sat sorting through pictures for her reception, I found this one. My sisters and I playing one of our games in the shed. I smiled. It was a happy memory. A memory of me as an innocent child. Loving my house, my sisters, my mom, and my dad. It was before I can remember any thing other than childhood magic. There were spider webs in the shed. My mom was near me for a reason I can’t remember when I noticed a spider on a web. I showed her. She told me it was a daddy long leg. I remember laughing, thinking what funny words those were. Then she told me that as a young child she used to pull their legs off. I realize most of you have no idea what kind of a child I was, but I was quiet and shy. The thought of pulling a spider’s leg off scared me; and then she did it, pulled a leg off right in front of me and I watched the spider hobble off on the rest of its legs. It’s funny how our lives run together. How our present and past and future worlds all coincide at certain places. Twenty years later, I was a boy mom. A son found a daddy long leg and showed it to me. I told him how his grandma used to catch them and pull their legs off. Finding this picture was a blessing; with it came a flood of happy memories. Sometimes the bad stuff is easy to remember or maybe it’s just bigger and takes up more space. I’m working so hard at being softer. Having a kinder heart. I think it is paying off. The more I forgive and accept, the more the happy memories come to me. It is lovely to think that the magic of childhood I work so hard to give my children is because of the moments of magic I experienced in the spaces between all the rest. Snow days. At the top of every kid’s favorites list. My children enjoyed a snow day today; waking up before the alarms clocks went off, checking to see if school, had in fact, been cancelled. Oh, it was a great day, complete with snow angels, fresh baked cookies, hot chocolate, and heaps of wet snow pants, hats and gloves. Towels lay scattered around the house in feeble attempts to protect our laminate wood floors. I’ve lived in the Midwest my whole life. On a day like today it’s easy to think back to the snows days of my youth. I especially remember one that must have been during my freshman or sophomore year. That would have been before wi-fi and I uber competitive high school sports. There were no practices, no video games. It was a just big snow. We must have missed more than one day of school. We wanted to go out and play in the snow. Sometimes in my shared memories “we” means my sisters and I. This time it means a whole gaggle of kids. I was living in an emergency protective shelter. Other than not living at home, days were much like any of our peers’ days might have been. Breakfast, school, after school, evening meal, homework, bed time. Differences, of course, being that we were not home, they were not homemade meals, and they were not our beds and no one was getting a gentle hug or sweet kiss goodnight from a mother, father, grandmother or aunt. The world’s of the children inside those shelter walls may have stopped, but outside those walls was a major winter storm. I don’t remember thinking it, but I’m sure we must have, can we go out and play in the snow. There were many of us without a winter coat or even clothes that fit us properly. I was old enough at that point to be bitter enough to have stopped believing a childhood was within our grasps. But the younger children, it must have been them, believed we could have a snow day. The staff came up with a tote, probably more than one, of winter clothes. I remember going through the clothes and finding what we could that would fit and keep us dry. We went out and played in the snow. In my memory it lasted forever. I remember coming in and I was sweating from playing so hard. We ran, we threw snow, we attempted to build snow everythings. I don’t remember much about the rest of that day. I don’t remember if we went in for hot chocolate and a snack after or just went back to our rooms or the common area. I don’t remember a thing about the staff that gave us that magical day. I don’t remember a thing about any of the other kids. In fact, I don’t know why one of those kids was in that shelter. It wasn’t something we talked about. Perhaps we were all trying so hard to forget our own truths that we couldn’t bare someone else’s. Perhaps our own was so hard and heavy, we could not bare putting it into words. I remember a day. A day all children should be able to conjure when thinking about childhood. Snow, lots of snow, no school, and playing. I think childhood should be magical. I’m so thankful to those that allowed me glimpses of what that should look like. I hope 30 years from now, my children remember just a little bit of magic from today. We live everyday with Duchenne so when I say yesterday was full of it perhaps it’s not clear. The thing is that we get into routines and find our own normal and days turn into weeks into months and we just live this life. But then we have days where things don’t go routinely and the disease seems like a bigger piece of our life. I went to help Max up and down the stairs to the cafeteria at lunch. It’s something I do 2-3 times a week. The chair he sits it, that provides him with extra back and foot support was broken. Rowen fell at school. At first, it was just an email letting me know what happened. Then it was a phone call because he was in the office with pain near his hip. He came home to rest and fell a second time. Falls are very scary. Rowen is fragile. Any fall poses the risk of a break. 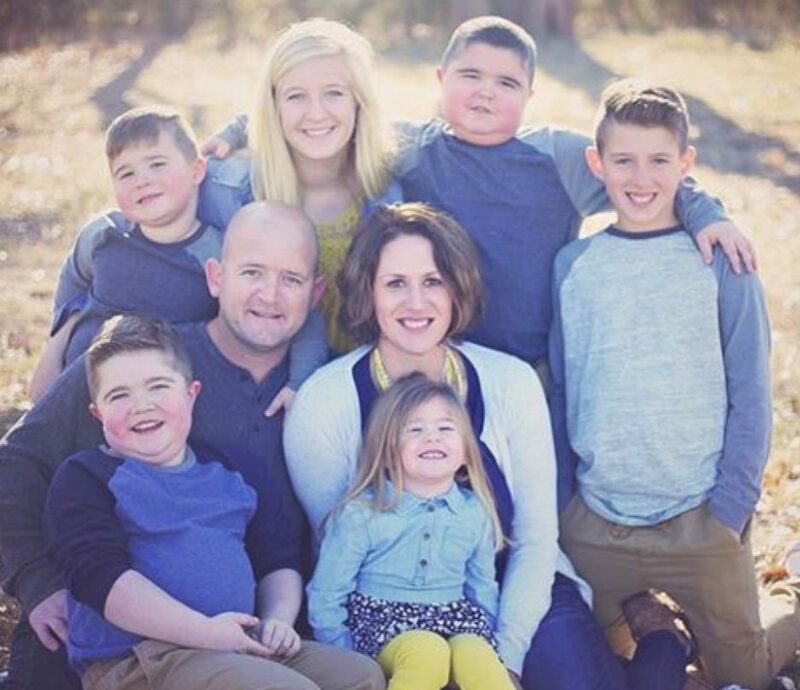 A break in a child with Duchenne has the potential to take away the ability to walk or worse could cause something called a Fatty Embolism Syndrome (FES), a serious and life threatening condition. Needless to say, falls cause a lot of anxiety for not only the parents, but for the child as well. I think that anxiety is probably why Rowen needed to come home. The fact that he fell two times in one day is a display of disease progression. Charlie wants desperately to play baseball this summer. Several of his friends are now transitioning to travel summer ball. I’ve had to have a few conversations with Charlie about it. At his age, it is not always clear to him how his disease makes him different from his peers. It was hard to tell him if he was on a travel team he might not be able to hit or field the ball. That, of course was in addition to daily meds, stretching, therapies. It was a lot. Many times that’s enough to feel defeated. It’s ironic that as the boys grow weaker though, I think our family grows stronger in order to deal with the always changing and deteriorating nature of the disease. We grow more resilient. We also work hard at finding the joy in every situation. It’s the only way I can imagine living this disease without giving in to the fears and realities and living in fear and desperation. We have to find the good in every situation. It is a survival technique for us. When Max’s chair was broke, two teachers helped me carry it upstairs as I carried Max and they tried to find someone to fix it. His school is a small private school that is not completely accessible, although they have fundraised and are working to make it a building more accessible to our sons and everyone. It the midst of the chaotic day, I get an email from Max’s religion teacher. Here, she is pictured with Max and another teacher. They were the two that helped me carry his chair. All I see is love in this picture. They were watching a video of Max. One that I had shared on social media celebrating how well Max is doing in spite of Duchenne. They were huddled together celebrating my boy. All I see is love. When Rowen fell the teachers and school secretaries took care of him and kept in contact with me. Rowen was okay. Both times he fell. He got back up again. Charlie doesn’t see how he is different. He could be very aware and it could change his joyful nature, but he doesn’t and that’s beautiful. I swallowed my pride, embraced my humility and started asking friends’ parents about their summer plans for baseball. I had considered trying to have him settle for being a manager on a travel team and give up playing. Then I found a friend, someone Charlie really enjoys spending time with that was willing to play on a parks and recreation team if Charlie was willing to play too! Charlie can play and with someone he really likes. At the end of the day, our blessings and our joys added up were greater than any havoc Duchenne created. We woke up to small amounts of snow on the ground anD snow continued to fall most of the morning. Living in a small Midwest community means the snow doesn’t get cleared until the snow stops falling. It’s fine unless you drive a 12 passenger van. If you drive a van that size any amount of snow on the ground makes travel difficult. Two of our boys went to school late today. They have a modified schedule to help hem save energy. They both have Duchenne Muscular Dystrophy. I dropped my oldest off first. He walks well enough and keeps his wheelchair at school. This was the first snow since we purchased this new chair. It doesn’t do well in the snow and I left him at school worried all day about how he and it would do. I took my middle son to elementary school. He needs his scooter to get in and out and around the school. He got his scooter covered in snow. I knew it would it thaw and drip all over the floor, making it a hazardous area where he could fall. A fall could be very bad. We dried the scooter off and then put towels under the scooter to prevent puddles. I still worried all day and could actually picture the fall in my mind. By the time I got to my class at the YMCA I was 20 minutes late and frazzled. Then there is my shoulder. About 10 days ago I was loading my oldest’s new chair into the van. I don’t have it completely figured out yet and it opened mid-lift, causing me to shift uncomfortably and catch the chair afraid for it to fall and break. I thought I pulled a muscle in my shoulder. I took it easy and it sort of felt better. But today I reached a point of pain that has caused concern. I can lift the boys and chairs in and out do the van, but can’t lift my arm above my head. Today putting my arm into my coat caused me to wince. I’m starting to think I’ve torn my rotator cuff. I’m giving my shoulder the weekend off, but if not better on Monday I’m going to get it checked out. My major concern is that they are going to give me weight limits until it heals and that means I can’t help my boys the way they need me. I hope it’s nothing. I’m praying it’s better by Monday. I’ve felt run down all week. I think my body was trying to fight off the flu that all my kids had and I’m just fatigued. I’ve stayed home several days over the last 2 weeks trying to recover. I’ve had a blah kind of day. I’m so thankful for my husband and kids. We had a good family night and that always makes my heart happy. Here I am Lord. I give this all to you because I know you will take care of it as only you can. Little white houses, the ones you drive past traveling through the Midwest. Little white houses with more paint chipped and fallen to the ground than hanging to the house. Little white houses surrounded by overgrown trees and thick and tall grasses. Sometimes the shutters are barely hanging on and window panes have long been missing. Sometimes they sit abandoned with a collapsed front porch or a roof that has caved in. Once in while there is a window air-conditioner and a car parked in a gravel driveway that makes you think someone lives there still. Sometimes I imagine the life that was there. Sometimes, I don’t imagine, I remember. I remember the little white house that existed in my life and still exists in the deepest grooves of my heart. It was torn down several years ago and if you were to drive the overpass that used to look over the house and it’s yard, you would never know the happy house that existed. But when it was there it was magical, sitting on a corner lot across from train tracks on one side and an empty lot on another. A yard and neighboring houses taking up the other two sides. If you were to peer through the window on any given afternoon you would see an old widow. She lived alone, yet was nearly always surrounded by children. Sometimes there were one or two and sometimes there might be 20 kids with her. It was loud and boisterous. There was almost always a card game, when she shuffled she would say, “shuffle, oh the buffalo,” unless, it were time for her shows. If the weather was nice she was rocking on the back porch watching the kids play. A peanut butter sandwich was always readily available. Even as night approached and the babysitting kids should have gone home, there would be two sibling sets that remained. One forgotten and another that had begged and pleaded their way into a sleepover. Those kids laughed and loved and snuck extra hours of life late into the night. In this little white house there was dancing and pretend weddings. There were long lasting games of red light, green light and sometimes walks across an empty lot to buy ice-cream cones from Kipp’s. I love plain, little white houses. I’ve imagined myself as an old woman living in a little white house. Spending so much time in that house, I learned about simple joys. I learned that what makes you happiest is the people around you, not the things. The little white house of my heart was a two bedroom house without central air or heat. Clothes were dried draped over the stove in the dining room; the dining room complete with a small valley in the floor showing the most loved path through the middle of the house. There was no basement. But in that house I had everything I needed. My sisters were there and hugs and love. I learned that crayons color just as good on the back of old paper restaurant place mats as they do in brand new coloring books. I learned an extra bedroom and a pull out couch was enough room for all your best friends and sisters to stay up and laugh all night. In that house, I learned simplicity. And when I forgot and life threw heart wrenching surprises at me, proving how valuable time with the ones you love is; that little white house was still with me. Now my children get to know those little white house lessons through me. Simplicity is magical and my children are loving that magic. As a senior in high school I was very engaged in a creative writing class. I lived in a foster home until my 18th birthday, January of my senior year. I finished it living with my then boyfriend, on my own, and out of the system. At 18, on my own, right or wrong, was so much better than in the system. It was a hard place in my life. My step-dad had just died and I was in a foster home again. I wrote about it all of my senior year in that creative writing class. I remember one weekday when the teacher, Mrs. Kort had asked me where I was going to college. Maybe she expected me to say I wasn’t going…I’m sure many assumed I wouldn’t be able to go. I answered that I would be attending Hastings College. She looked at me with concern in her eyes and asked, “but, they don’t have a creative writing program? What about UNK (University of Nebraska Kearney)? The truth was that I only had one choice. I lived in Hastings. I had no car. I could have never driven anywhere, even just 45 minutes away to Kearney. And even if I had found a ride, where would I have gone over summer and holiday breaks? Honestly, I could have found ways around all of those questions, but I had no parental figures helping me figure those things out. I was just an 18 year old kid, doing the best I could. Secondly, I never thought I was good at anything. I could have never imagined making it as a writer or anyone ever hiring me to write anything for them. Except, look at me now, I’m unemployed and writing a blog for free. Perhaps I should have tried a little harder at writing a little sooner. I was looking through the things I wrote that year today. It stung to read some of them and a poem written about my sister that passed away last year, nearly made my heart stop. If she thought it was good enough to send off, it is a good enough to share tonight. the depth of visible darkness. you fear death; you want to live. it is part of your mortal soul. and caress the satisfaction of overcoming fears. Let me paint a picture of this boy. Rowen was standing in the chip section at Walmart. His back arching with the lordosis caused by Duchenne. He was holding a party sized bag of Doritos so large next to his small stature that it nearly touched the ground. He was gazing up at all the other flavors of potato chips stacked on shelves nearly three times his height, trying to decide on a second bag. I was loving this boy so much in that moment that my heart was hurting. Rowen turned 10 a couple of weeks ago and tonight is celebrating by having a few boys over for a slumber party. I’m so nervous for this party. Rowen is on the spectrum. Chaos and extra noise are not what he is best at. Having had a few slumber parties along the parenting journey thus far, I know that is exactly what we are in for…especially when we add Rowen’s 5 siblings. But Rowen is so excited. I tried more than once to propose another way to celebrate. I suggested a swimming party, a bowling party, and taking friends to a movie, but he was determined that we were celebrating with a slumber party. We know life is short, so we are having a slumber party! If for some horrible reason this is the last birthday Rowen ever celebrates, I’m not going to wish I could do it over and give him what he asked for. I’m doing it the first time. He wants a slumber party and so we are having a slumber party. If Rowen needs breaks, his older brother is on stand by ready to step in and make sure his brother’s friends are still having fun. We have nachos and pizza on the menu. Rowen picked out his chips and soda flavors. He wants to play video games and watch movies. He asked his Dad special to go buy donuts tomorrow morning. And as I type he is telling me I need to finish picking up the house before his friends get here, so I had better end this now. Please pray that Rowen, his friends and family all have fun and memorable night! Today is one of those milestone days for a senior in high school. Today, Lexi will play basketball for the last time in Chapman Gymnasium. Chapman has been a second home to her since 7th grade. And for years before that she worked her tail off making sure she could play in the Gymnasium wearing a Hawkette Jersey. As a freshman, #10 was not her first choice, but as being a freshman goes, she got #10. I know I’m biased but she’s had a great career and has done #10 proud. This season I even had to find someone to sew it back together again because it means so much to her. I will miss the crazy loud nights sitting next to her dad, one of the loudest fans in the place. I will miss quick runs to the bathroom with her younger siblings straining my ear to listen for her name in case I missed something. Heck, I’ll miss my diet of popcorn and Diet Pepsi. I’ll miss everything about it, especially her. She is everything I could have ever hoped for in a daughter. She is bright, vibrant, a light. The last 4 years, I’ve been told that repeatedly by fans, teachers, other parents; so it’s not just me. She is dedicated, works hard, and sacrifices a lot. A lot of people see that. The things they don’t see are a sister that worries about her siblings, especially her 3 brothers living with a fatal genetic disease. She carries her brother Max up and down the stairs at lunch. She can give them their meds and stretch them. She’s had to do more on her own than I would have liked because they physically need us more. That’s been hard at times, but she’s always understood and just fought a little harder to compensate. Lexi refused to go to college out of state because she didn’t want to be far from them. We encouraged her not to make her decision based on that, but we know she did. She could have visited schools all over the country and refused all but one. In the end she chose a school 90 minutes from home. Her priorities are straight and family is among the top for her. I prayed always that my children would not be like me. I’m learning that it’s okay for them to have a little of me in them. I have a little fight and that’s what Lexi has of me. She perseveres. There is not a challenge she will not accept and often succeeds more the harder the challenge is. She will make it. Letting her go off to college hurts because I’ll miss everything about her, but not because I’m worried. She is ready. I’m amazed at her. I love how she is with people, reminding me always of her dad and pappa. I’ve watched her compete since kindergarten. Early on, Lexi could be found talking to her teammates and kids on the other team. To this day she can been seen chatting with a ref on the sideline as she waits to inbound the ball. Last year at state track, she had a big throw that launched her into second place. On her way out of the ring, a dad and Coach to the gold medalist congratulated her by name before she ever found her way to her coaches and parents. This season she suffered a concussion that resulted in an ambulance ride. Coaches, parents, and athletes from every corner of the state were texting us that night. She is so loved and they were worried for the blonde girl, with the big smile, that makes everyone feel like a friend. The week following she was watching the games from the sidelines. Afterword almost every starter on an opposing team came over to her and told her they were scared and are so glad she’s ok.
She’s been successful, she has state medals from all three sports to prove it. But I’m most proud of the fact that she’s a good sister, a good daughter, a good teammate, a great competitor, and a friend to everyone on the court, the field, the hallway. She’s going to finish the season and another in a Hawkette Jersey and then she’s off to wear a red one for a few years. I know her future holds no limits. She will be an amazing nurse. I know God has already fused her soul to her future husband and when they find each other she will be a wonderful wife and mother. I’m so proud of this girl, I just wish the past 4 years had not gone quite so quickly. Through God’s challenge to see myself as He sees me I have commutes to 30 days of writing. Writing is for me more than anyone else; so if you all check out before the 30 day challenge comes to an end, that’s ok.
I’m starting with the truths. For the longest time I believed that no one could love me. Although I know differently now, during my childhood I believed that my mom didn’t love me. As an adult, I understand addiction and mental health influence the way someone shows love, but as a child I just believed I wasn’t loved by the one person that was supposed to. It affected me deeply, it’s a hole I don’t know how to fill. For most of my life, relationships, especially new ones have been hard for me. I’ve worked hard at keeping people from loving me. I can be distant and I avoid new relationships. Something deep inside is still sometimes afraid to feel the way I did as a little girl. As a young married person and mother I grew leaps and bounds and allowed myself to feel love and to build a life full of love. There are exceptions to truth 1 and that is my husband. Our souls were fused together long before we met. I lived in foster homes and shelters and sometimes at home. In my first years of college my living arrangements bounced around even more, but I was never literally homeless. But home is where your heart is and mine was so closed up, I was homeless. Then walked in Jason. And although I tried to not love him and I tried to not let him love me, he was home. I knew it right away. Something in my heart was not afraid and something in my heart recognized home. We built a life together. We grew a family and my home erupted with love, laughter, and joy. My children. I could write about how they are my beginning and my end. That my days start with them and I close my eyes at night thinking about them. That I will be their anything they need…cheerleader, lunch packer, nurse, driver, confidant, guiding hand, their legs, their advocate, I would try to breath for them if that is what they needed. Put simply, they are my purpose. I’ve never been so honored, humbled, or privileged to do anything else in my life. To be their mom is why I’m here. I want a simple life. That is not exactly what I’ve been given or what I’ve lived. But, the days that I can wake up to a cup of coffee, help my family start their days, have quiet time alone to work out, read, or write; and then make beds, fold laundry, and prepare meals…those are the best days. I love simple everyday moments more than any of the extraordinary ones. They bring me the most joy. It stems from my childhood, I think. The need to be strong. This last year to 18 months has knocked me down and it seems each time I get my wobbly legs under me again, I fall. My first step towards being able to stand again was to admit there are parts of me that are broken…perhaps beyond repair. There are holes in those places and I’ve spent too long resenting the brokenness and myself for not being strong, not being whole. For most of my life I’ve tried to fill them up on my own, but when things get hard, the stuffing I’ve used blows away like dust on a windy Nebraska day. I’ve thought about that for days. Sunday, during an hour alone, I prayed about how fragile I feel and that I wanted him to fill my holes. I was thinking of the words hole, whole, and holiness. As I continued in prayer something resonated with me and it was that I have to believe in who He says I am, not what others believe and most importantly not what I believe. I feel as though I have been challenged to see myself through His eyes and I accept. I’m in the beginning of this journey towards healing and I hope to share the things I learn and accept in the weeks and months to come.